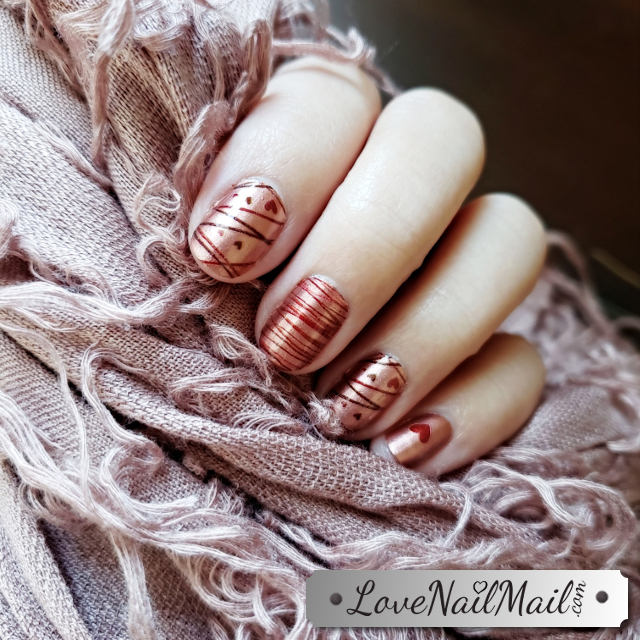 If you follow me on Instagram, then you probably saw this post below, sharing my very first experience with Color Street nail polish strips. My friend had asked me to try them a few months before that, but I wasn't very interested. My nails were strong and healthy, and I was used to painting them every 6 or 7 days myself. What changed my mind about trying them months later was a nailfie (nail selfie) she shared of some really cool looking nail art. 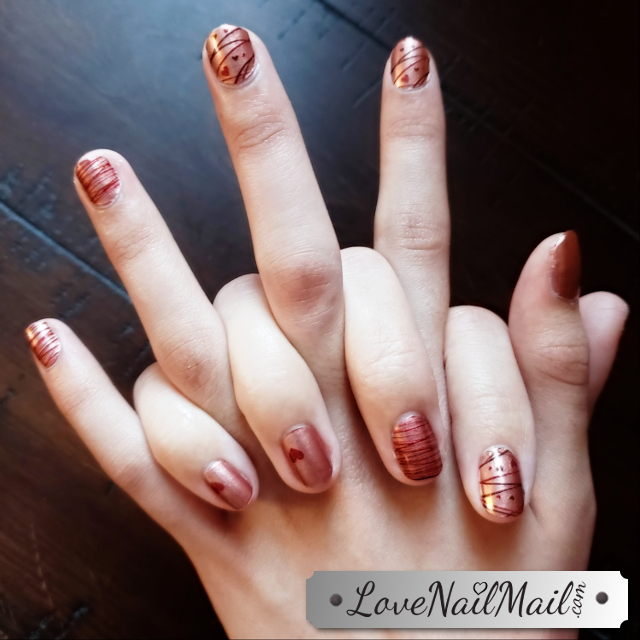 I LOVE nail art, but was never able to apply professional looking nail art to my own nails without going to a salon. So, I picked out a set that caught my eye, and the rest is history . . .
What exactly are Color Street nail polish strips? 1. 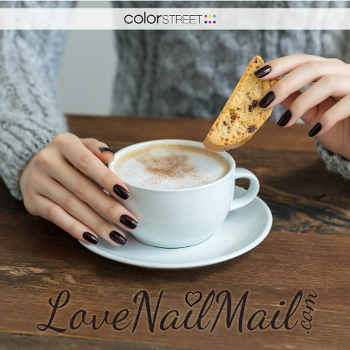 Color Street strips are 95% dry real nail polish in an easy-to-use peel and apply format. 2. There is ZERO dry time. 3. There are no tools required for applying these nail strips. Watch this video to see how easy the application process is. 4. Color Street says one manicure can last up to 10 days without chipping. Personally, both my 12 year old daughter and I have gone up to and past 10 days without seeing one chip. 5. 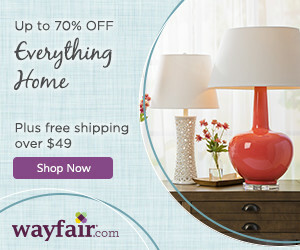 Color Street sets are affordable! 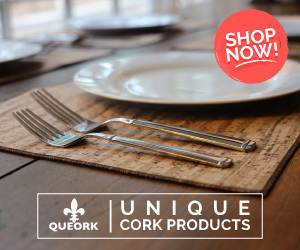 Each set ranges in price from $11 to $14 per set, not including any current promotions. Also, the strips are double-tipped, so I can do both my nails and my daughter's nails with just one set. 6. There are over 130 expressive colors and designs to choose from, and the selection is updated every fall/winter and spring/summer season. Check out all the colors here. 7. Color Street products are made in the U.S.A.
After about 6 weeks of loving Color Street, I decided to become an Independent Color Street Stylist. I am not really a direct sales kind of person, but I really love this product, so I figured I would share it with my friends and family. 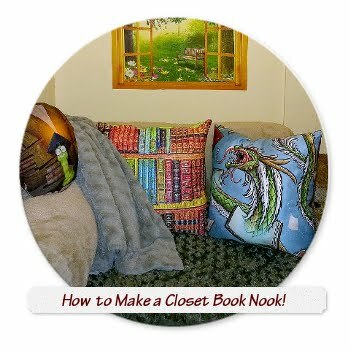 Some of my readers have followed my blog for over 10 years, and know that I am genuine in my feelings about the products I share. I sincerely believe that most everyone who tries this product will love it. Once you try Color Street, you'll never go back to using nail polish from a bottle. 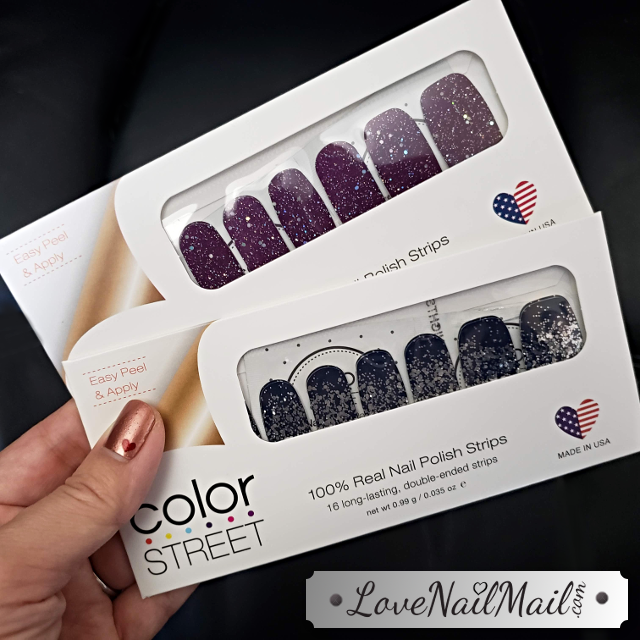 If you'd like to try Color Street for yourself, visit www.LoveNailMail.com or join my 'Love Nail Mail' VIP Facebook group to request a free sample and to enjoy VIP member perks. I came up with that name because I always get so excited when I'm expecting nail mail! Check out some of my recent nailfies below . . .
One of my favorite Color Street shades is Bordeaux Glitz. Have questions about Color Street? Share them with me here. Squeezed many times after two coats of Soft'n Slo paint markers completely dried over two days. 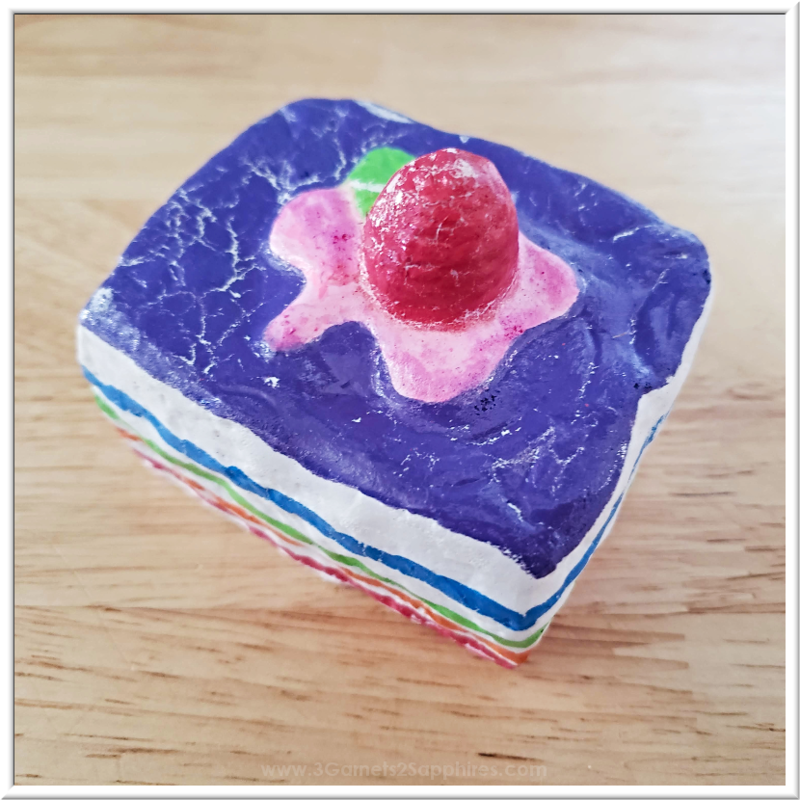 My 11 year old daughter has been on the crazy-for-squishies train for a couple of years now. She may even consider herself somewhat of a squishy expert. That being said, she and her twin brother own several Soft'n Slo squishies, and have been very pleased with them. They have held up for months before beginning to show signs of being lovingly squeezed over and over again daily. 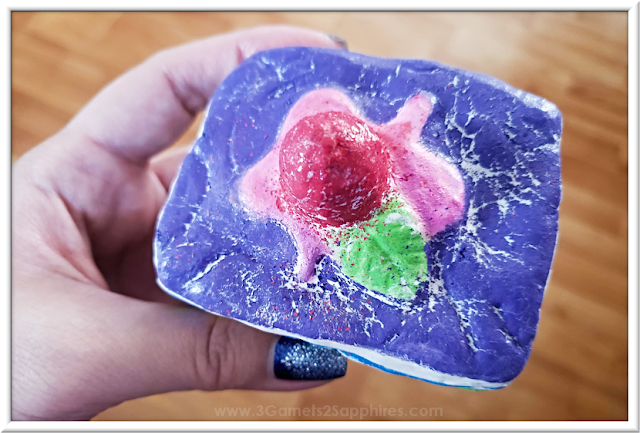 Since this brand of squishies has been pretty dependable overall, I was excited to see DIY Soft'n Slo squishies and paint markers at our local craft store. I purchased one of every style of blank squishy I could find, plus both packs of paint markers (regular colors and brights) as a gift for my daughter. Our daughter is a crafter at heart, and was so excited to receive this gift bag full of DIY squishies supplies. 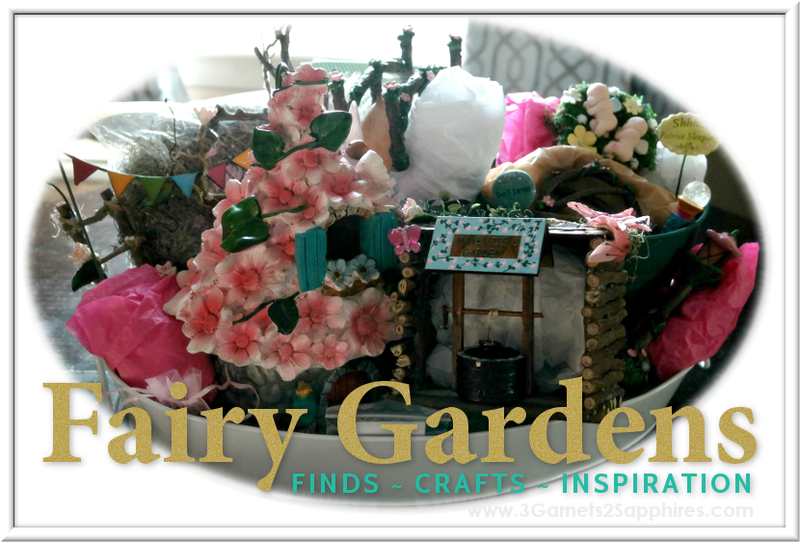 Did the Soft'n Slo DIY Squishies & Paint Markers Meet Our Expectations? . . . The blank squishies felt like the same great quality my children have come to expect from Soft'n Slo. Unfortunately, the paint markers did not perform as well as we would have liked. The freshly painted squishies looked amazing with very good coverage. After we allowed the paint to dry for a few days, however, there appeared to be spots where the paint did not adhere to the surface of the squishy. Squeezed twice after single coat of Soft'n Slo paint markers dried for 4 days. I suggested to my daughter that she try adding a second coat of paint. After allowing the second coat to dry for two days, we found that there were still spots where the white showed through. Unsqueezed after two coats of Soft'n Slo paint markers dried over course of two days. Next came the squeeze test. When we squeezed the squishy several times, the paint began to crackle and flake off. 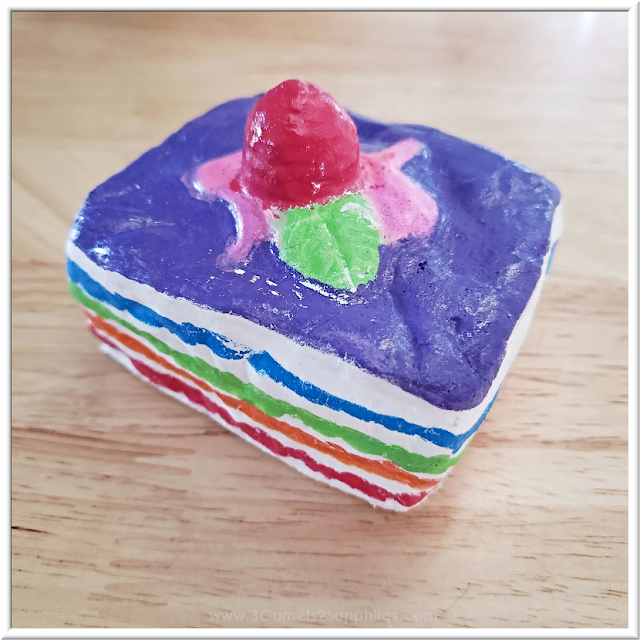 What would have been a beautiful one-of-a-kind squishy, did not end up being the masterpiece my daughter had hoped for. What will we do with the remaining blank squishies? We still love Soft'n Slo squishies, but the markers were just not the same quality we have come to expect from this brand. The blank squishies are great though, so what we will likely do is to try painting them with puffy fabric paint. This type of paint comes in a wide variety of colors and is made to be flexible. If that goes well, maybe my daughter can try to salvage her cake squishy or perhaps repaint other squishies to give them a makeover. Two Soft'n Slo squishies our children received as stocking stuffers. 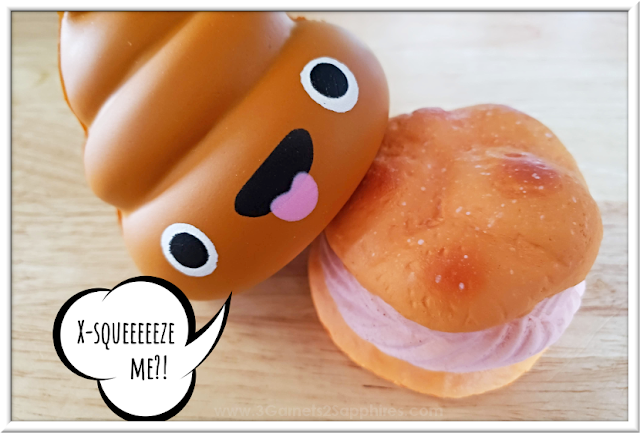 What kinds of squishies are your children's favorites? Our children are now 11, 11, and 14. 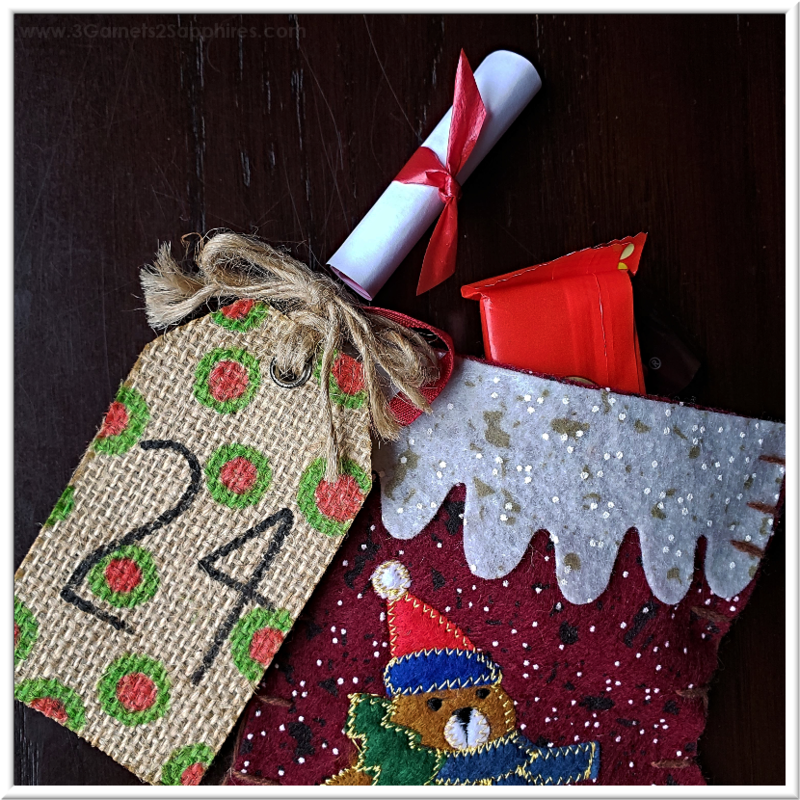 If you have older kids like us, that means you might be running out of ideas for ways to make the annual tradition of an advent calendar a fresh and fun experience. We have done everything from puzzle pieces to Lego minifigure parts, from Christmas books to dollar scratch tickets. Since all 3 of our children are gamers, I thought it would be fun this year to give them a way to earn in-game currency. Usually, I am not a huge fan of spending real life money on virtual items, so I think this will be a real treat for them. Since we have three children, I'll give each child one guess at the answer to one 'game show' question each day. Only one child needs to answer correctly for all three to win the prize, which I have decided to be one dollar per child to go towards in-game currency or a gaming membership. 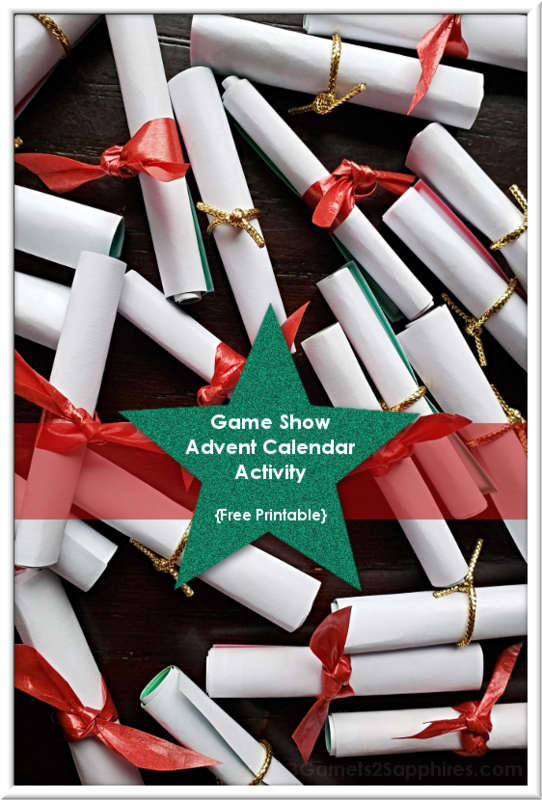 DIY Game Show Advent Calendar Activity . . . Step 1. Download the PDF below. Then either print out four copies of the blank cards or digitally add text and save four versions with six different game cards on each version. Do not include the answers to the game show questions on the card, but rather keep a list of them in a safe place. 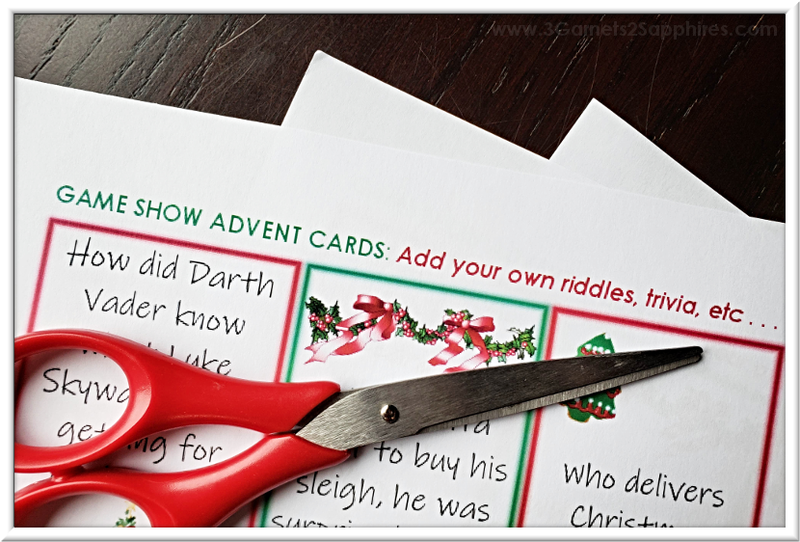 TIP 1: I found age-appropriate Christmas-themed riddles online and used one riddle per card. Other ideas would be trivia questions, math problems, brain twisters, tongue twisters they'd need to say 3 times quickly, etc . . . If this activity is a hit this year, next year I might try Star Wars trivia questions. Step 2. Carefully cut out your 24 cards. Then roll them into tiny little scrolls and secure them with curling ribbon, gold cord, inexpensive Christmas stickers, Christmas washi tape, or tiny elastics. TIP #2: If you don't have the dexterity (or the desire) to roll and secure 24 tiny scrolls, other options would be to merely fold the cards in half or into thirds, or to put them in business card sized envelopes. Step 3. Put one scroll into each day of your advent calendar. I also always include one small piece of candy for each child, but that is certainly not required. What ideas do you have for making an advent calendar more fun and interesting?